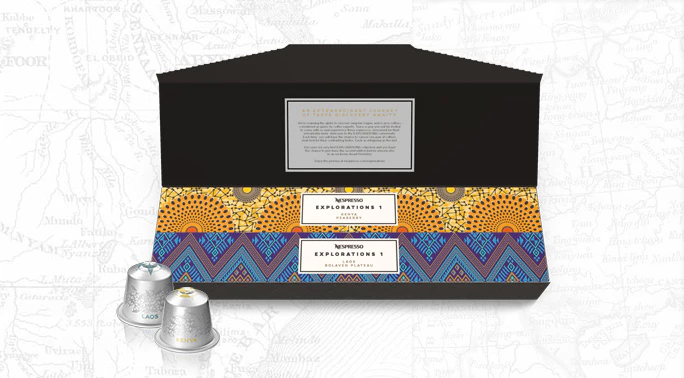 Nespresso roaming the globe to uncover singular origins and scarce coffees, considered as gems by coffee experts. Savour this pair of coffees, matched for their contrasting tastes. 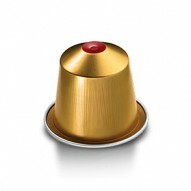 Nespresso experts sought to express a characteristic golden wheat and green vegetal personality. Round and balanced with a hint of acidity, this espresso is reminiscent of certain cereal grains and herbs. 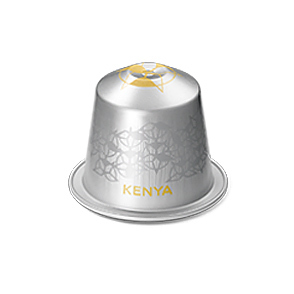 Nespresso experts developed a roast profile that expresses all the elegance of Kenya’s fine acidity and fruity notes. 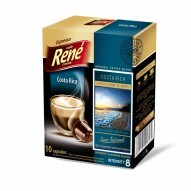 This aromatic espresso will surprise you with notes reminiscent of a variety of candied fruits. The misty Bolaven Plateau, with its very own microclimate, sits thirteen-hundred metres above sea level. Together with the best farm practices, this environment makes an ideal terroir for truly exceptional coffee. 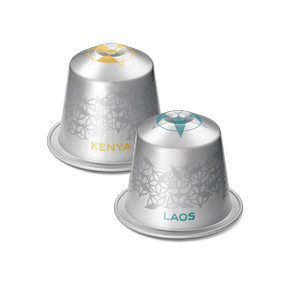 Our 100% washed Arabica comes from the legendary central district of Kenya. Here, on either side of the equator, the altitude, temperature and humidity make for a truly superb terroir quite unlike anywhere else. To bring out the brightest and finest notes expressed as golden wheat, we gave a small part of the beans a dark, long roast.To enhance the coffee’s body and structure, we gave the remaining part a lighter, short roast. Most of the beans are roasted at a medium intensity for a short period of time to enhance aromatic complexity. The smaller, remaining beans are lightly roasted to help bring out the fruit. Golden wheat and green vegetal personality. Round and balanced with a hint of acidity, this espresso is reminiscent of certain cereal grains and herbs. Pleasantly complex espresso with surprising jam-like notes, reminiscent of candied apples, raisins, blackberries and currants. 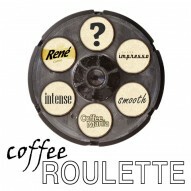 20 Coffee capsules of roast and ground coffee for the NESPRESSO system.